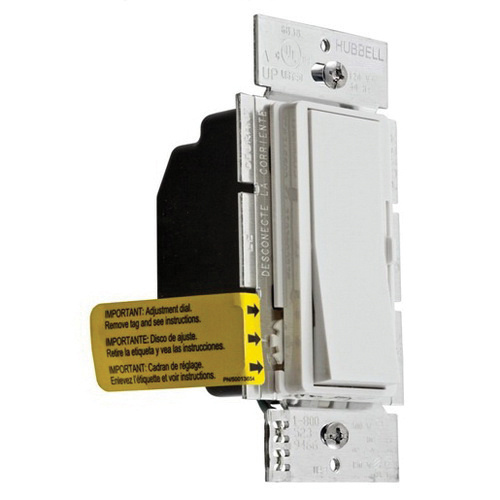 Hubbell-Wiring TradeSelect® 1-Pole 3-Way Dimmer has voltage rating of 120-Volt AC at 60-Hz. Dimmer in white color, has maximum load capacity of 150-Watts for CFL/LED and 600-Watts for incandescent/halogen. It is ideal for offices, conference areas, schools, libraries, bathrooms and dining rooms. Dimmer is UL listed and CSA certified.